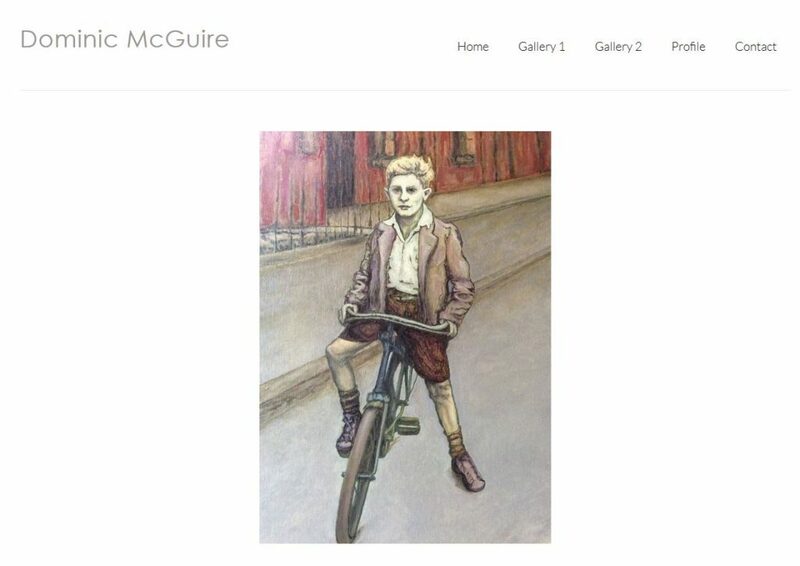 Recently, we were asked to design a website for an artist who specialises in painting portraits in oils on fine canvases. Just starting out, the artist only had a small portfolio of work, so a simple ‘entry level’ site suited his needs very well – a home page, two galleries, a profile page and a contact page. The site is easily expandable as his portfolio of work grows. Since the artist’s paintings are often full length figures, proportional thumbnails seemed appropriate in his galleries. Proportional thumbnails are mini versions of the original – ie there is no cropping. Here’s an example such a layout. Thumbnails in this type of gallery are easy to order but the disadvantage is that a mixture of landscape and portrait images in the grid can result in ugly gaps below landscape images. And because the thumbnail images need to be the same width, portrait images can seem oddly small. The solution is to arrange the images in rows – a row of portrait images and a row of landscape images (or have separate galleries for landscape and portrait images). To avoid ugly gaps, the alternative solution is to display the gallery thumbnails in a masonry format where the gallery software automatically arranges the images in a brick like manner so there are no gaps. You can see and example here. Take a look at Dominic’s site by clicking on the link below.